Do you want a better healthy diet for lower uric acid? Then, GoutPal Plan for Gout Dieters is for you. It is a 7 step plan for improving gout diet. Uniquely, it takes your current healthy diet. Then, tweaks it to help you reach safe uric acid levels. This is part of a series of plans for all gout sufferers. Simply answer Questions for Gout Sufferers. Then, follow the GoutPal plan to control your uric acid with a personal healthy gout diet. Most people in the Gout Dieters Group have moved here from the Gout Foodies Group. Before you start the GoutPal Plan for Gout Dieters, your diet must pass the EFSEP test. If you are not certain, please check GoutPal Plan for Gout Foodies, before you start. GoutPal’s gout support groups identify gout sufferers by how they want to manage their gout. Gout Dieters are gout sufferers who have healthy eating habits. Or, they are committed to changing to healthy eating within 3 months. Gout Dieters want to improve their healthy lifestyle to create their personal gout diet. That includes making lifestyle choices that will lower uric acid to safe levels. What do you want to achieve? Make this as personal as you can. It might be reaching your safe uric acid level. But, personal goals are better. Such as enjoying your favorite sport again. The more personal it is to you, the easier it is to stay motivated. If you want to start a plan today, tell me your personal gout goals in the forums. 2. Gout Dieters Plan Objectives. Either, maintain safe uric acid with gout-friendly healthy diet. Or, lower uric acid to safe levels by changing specific foods in your healthy diet. 3. Your Diet For Gout Undertakings and Understanding. Your first undertaking is to set your target uric acid level. And, when you hope to achieve it. Secondly you undertake to monitor daily food intake, or weekly/monthly food shopping. Thirdly, you undertake to understand the principles of gout diet. Specifically, you should identify which bad gout diet principles affect you. Then, we can plan practical ways to overcome those weaknesses in step 5. 4. Tests for Gout Dieters. Most Gout Dieters have a Personal Gout Diary, from their Gout Foodie group. Just continue using that for test results. Or, you might want to adapt a nutrition tracking program to include uric acid test results and gout symptoms. 5. Personal Gout Dieter Principles and Plans. 2. Tell me the eating style you prefer, and some personal details. Especially, favorite foods, and foods you don’t like. Then, I’ll give you healthy eating plans. Including, personal options for uric acid lowering potential. However, you can follow my diet plan principles without becoming a GoutPal member. Because you might prefer mentoring from your doctor, nutritionist, or a fellow gout sufferrer. In which case, you can research your own healthy gout food choices. In particular, you can learn about the best foods for your gout using my gout diet facts and GoutPal Dieter resources. If your uric acid isn’t safe, do you want to continue as a Gout Dieter, or try a different group? If you want to keep trying, we go back to the Plans, or Undertaking. Then, we Assess where we can improve them. If your uric acid stays safe, it’s time to enjoy the rest of your life. Please consider helping other sufferers in the gout forums. Your experiences can encourage struggling gout sufferers to improve their gout diet. You can also read the current Gout Dieter Group discussions. But, remember that those discussions will have different personal gout diet preferences and requirements. 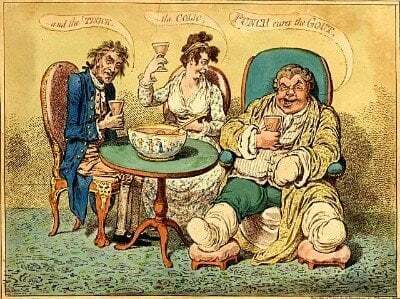 A growing resource for anonymous Gout Dieter help is this series of articles. Those relevant to you are tagged For Gout Dieter Group. If you want casual help with your Gout Dieter plan, just ask in the gout forums. You can ask about any aspect of your gout, at any time. 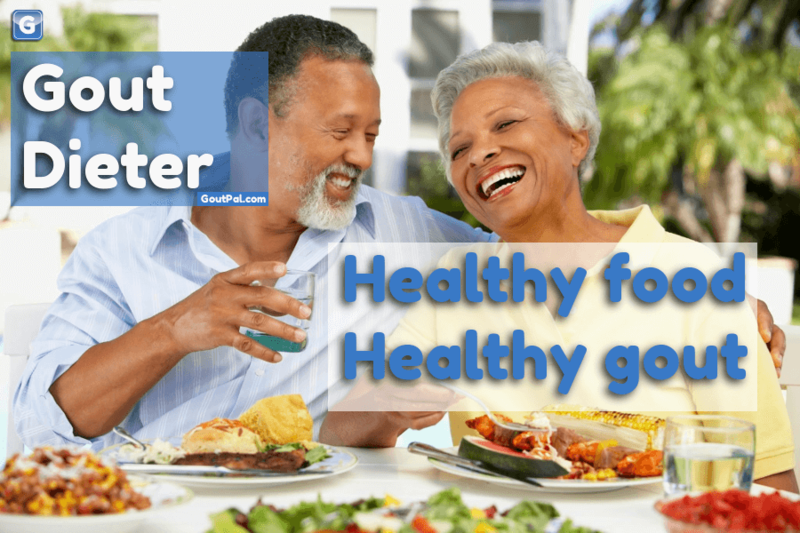 Do you have suggestions for improving GoutPal Plan for Gout Dieters? Then, please add your comments to Improving Help For GoutPal Dieters. Or, send the Feedback Form, below.